Disney themeparks worldwide are home to beautiful and unique architectural structures. For the next three weeks, I am going to explore how best to photograph some of them. To photograph architecture specific types of gear and techniques are needed. 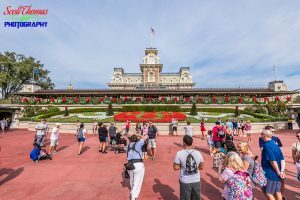 Whether you are using a digital SLR, compact or even a phone camera, a wide angle … Continue reading "Disney Architectural Photography – Part 1"